Glass repair and installation – Why Mac’s Discount Glass is your best choice! Sacramento Glass Repair & Installation – Homes, Commercial , Auto & more. Why Don’t We Offer Auto Glass Repair to Roseville and the Surrounding Cities? Where Do You Go For Auto And Window Glass Repair Service In Folsom? Why Not Provide Auto Glass Repair Mobile Service To The City Of Roseville And Surrounding Cities? We Do Auto Glass Repair In Folsom – No Surprise There! Providing Auto Glass Repair Mobile Service To The City Of El Dorado Hills And Its’ Surrounding Cities! Break In The RAIN! More People Out And Breaking Auto Glass in Cars! Where Do You Go For Auto And Window Glass Repair Service In Rancho Cordova? Why Not Provide Auto Glass Repair Mobile Service To The City Of Roseville And Its’ Surrounding Cities? Granite Bay Window Glass Repair Service – Glass Repair Mobile Service,Even! We do Auto Glass Repair in Sacramento – We are here to help! Sacramento Guess What?- Do You Have a Broken Auto Glass that Needs Fixing. We can help. We Provide Glass Replacement in Sacramento – Lucky Residents! We do Windshield Glass Replacement in Sacramento – Mac’s Discount Glass is here to the rescue! 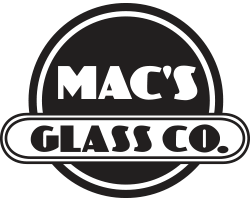 Mac’s Glass Reaches 20 Reviews on Yelp – Glass Repair Needs at Your Service! Sacramento Glass Repair Company – Here we come! We do Auto Glass Repair in Folsom – We are here to help! Hey Folsom, Where Do You Go For Auto And Window Glass Repair Service? Windshield meet a Rock on the road. Who Is Lucky To Have Window/Screen Repair Service In North Highlands and Surrounding Cities? Why Not Provide Auto Glass Repair Mobile Service To The City Of Fair Oaks And Its Surrounding Cities? What do you need for 2012? Merry Christmas From Mac’s Discount Glass – Feel free to visit! Mac’s Discount Glass can change your windshield and make it easy. Mac’s Discount Glass launches BRAND New Look to our building – Feel free to visit!